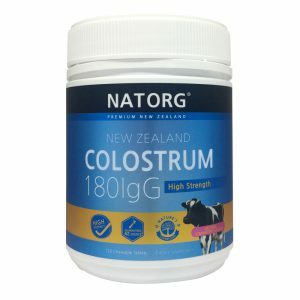 Nutrient-rich Colostrum from healthy, New Zealand cows. Also contains prebiotics inulin and oligofructose. What makes high quality colostrums is high-quality cattle and high-quality processing. NZ colostrums is favourable because of its dairies stringent standards of quality. New Zealand colostrum comes from cows mostly pasture-fed because of the weather. New Zealand colostrum is never frozen, only chilled and then spray dried at low heat, protecting the sensitive bio-enzymes. 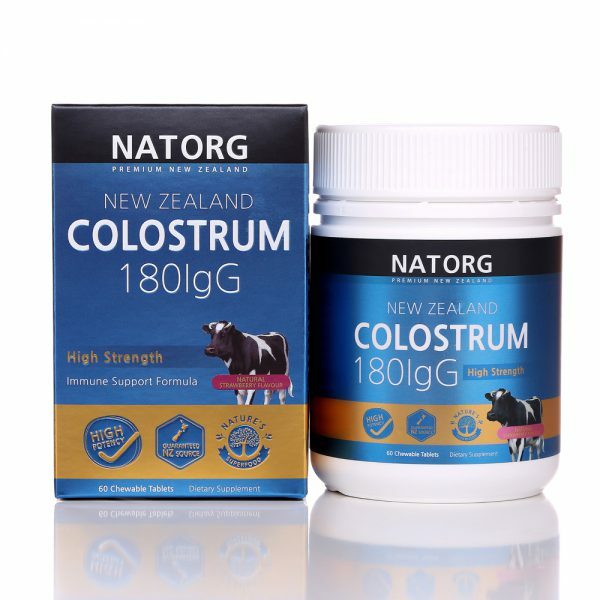 New Zealand collects colostrum from all over the Country, it is then blended together therefore enlarging the environmental exposure and variety of cows that colostrum is collected from widening the defensive net against a wider variety of pathogens. Why pasture-fed cows are better? Pasture feeding exposes cows to the live enzymes and nutrients found in the soil. When cows are pasture fed, they produce more antibodies to disease-causing pathogens in their colostrum, which can help support our immune system when taken as a supplement. Pasture-fed cows are antibiotic free and free from hormones. Plus tabletting aids, non-fat milk powder, natural flavours, natural sweeteners. Contains NO: Gluten, wheat, egg, soy, artificial colours, artificial flavours or artificial sweeteners. This product is not suitable for children under 12 months. This product contains bovine colostrums powder which contains lactose and cow’s milk protein.